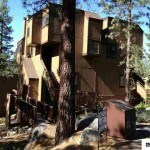 3535 Lake Tahoe Blvd #110 South Lake Tahoe CA offered at $147,000Lakefront Development located on 19 acre's bordering over 1000 of sandy beach. South Shore's hidden treasure. This studio unit comes fully furnished. It overlooks the year round heated pool and spa. Take the elevator to the underground parking. 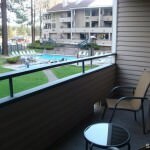 Fitness center and sauna's are just a 30 second walk. Conveniently located to shopping, restaurants, entertainment. 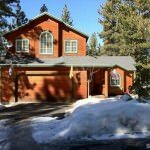 Lakeland Village includes 3 pools, two hot tubs, dock,...Continue Reading!